For the better part of a year, I subscribed to Loot Crate, which is a curated monthly subscription box filled with nerdy memorabilia, with each month having its own theme. For twenty bucks a month, it gets sent right to your door, enabling you to bask in the glow of geeky trinkets. Eventually, the themes and the cheapness of most of the items became a problem for me, and I cancelled my subscription. 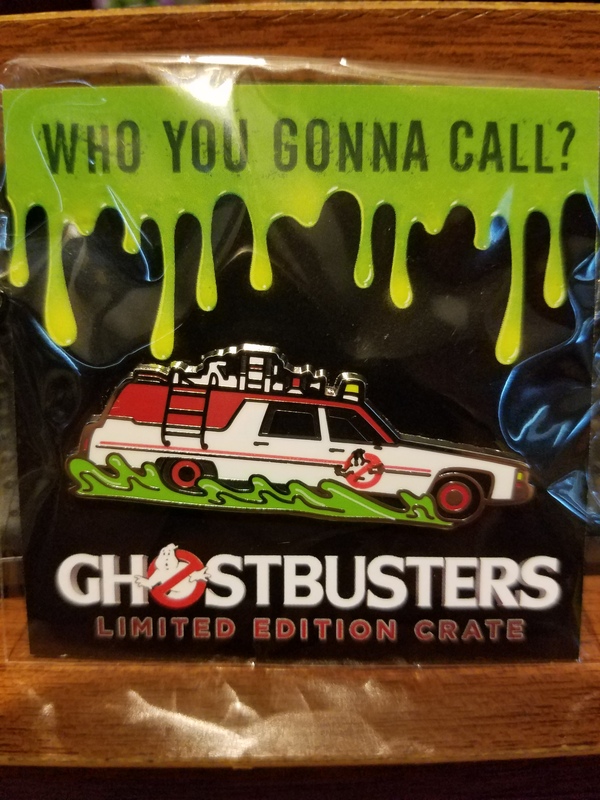 I never took my email address off of Loot Crate’s mailing list, but it wasn’t until they started advertising their upcoming Limited Edition Ghostbusters Crate that I gave any of their monthly themes a second look. My eyes lit up when the items were described, especially since the contents of the box would be spanning all three Ghostbusters films. While the price tag was a rather high $55 for this box, I knew I would be kicking myself if I didn’t drop the dough on this specialized box that contained more collectibles from my favorite movie franchise of all-time. 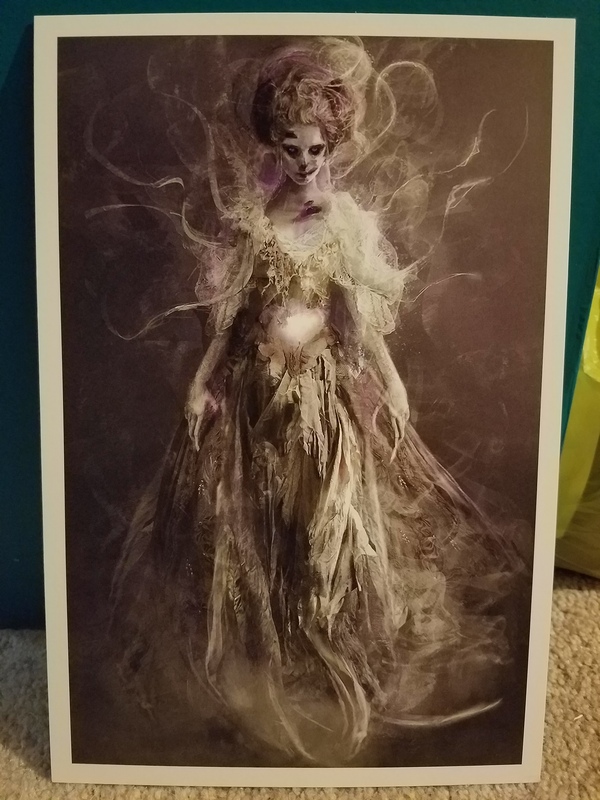 Loot Crate emailed me when the box was available for order, and I jumped on it within an hour. For me, it did not disappoint. 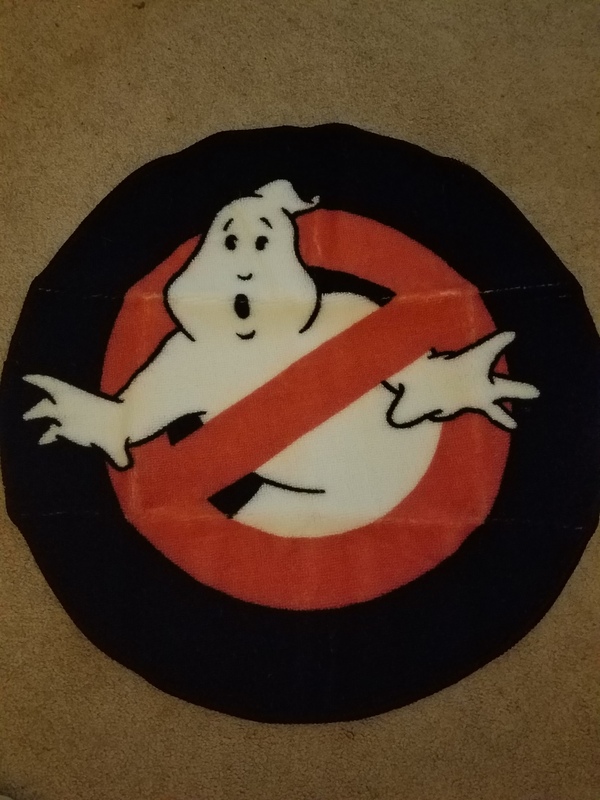 This wonderful box of Ghostbusters goodies contained a circular Ghostbusters-logo doormat, which I’m not sure yet where I will put, but rest assured, I will find a place. 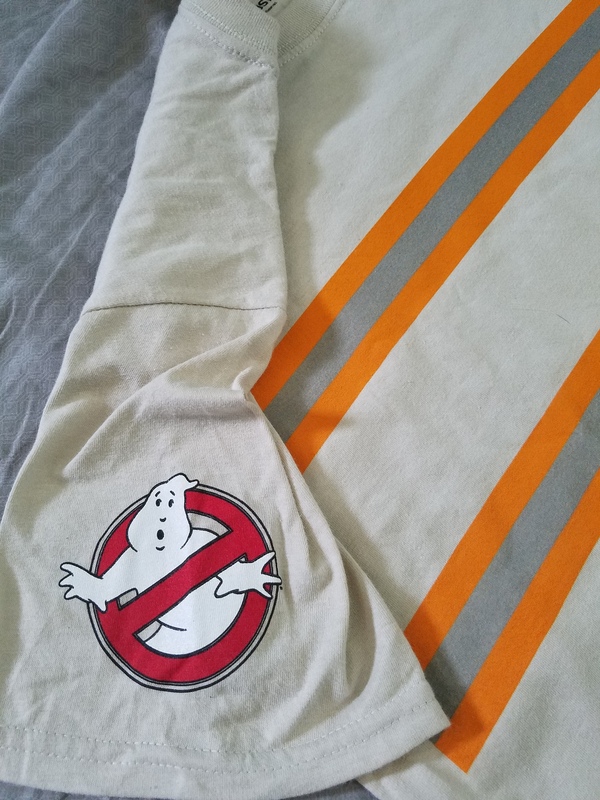 The crate also contained a t-shirt in the likeness of the jumpsuit worn by the ladies in the new Ghostbusters film. Complete with the logo patch on the sleeve! From there we go to the replica of the proton pack used by the foursome in the new movie. The pack sits upon its own stand, for easy display among your favorite Ghostbusters collectibles. 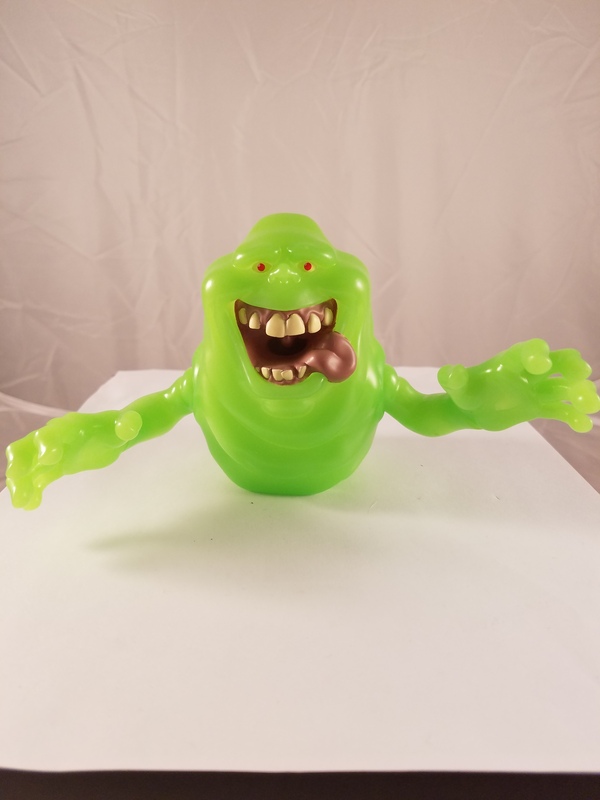 Up next, we have a Loot Crate-exclusive glow-in-the-dark vinyl figure of Slimer, from Titans, which has also released a full Ghostbusters line. 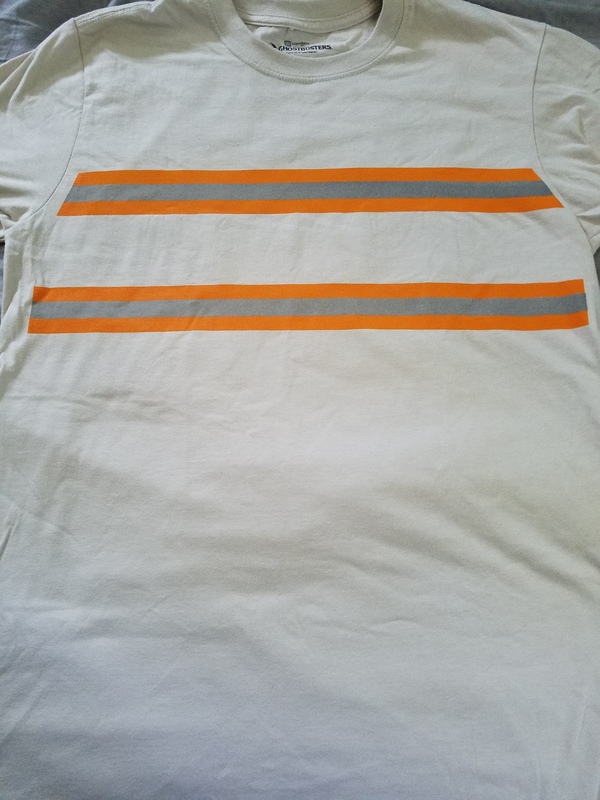 I have not yet tested the glow-in-the-dark feature, but when I do, if I can get a good picture, I will retroactively add it to this blog. 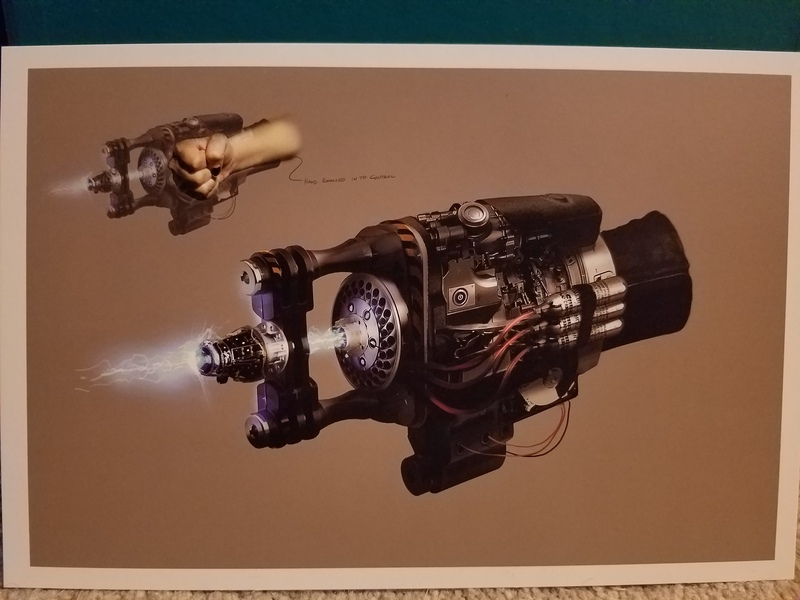 Another cool addition to the already great combination of memorabilia is two pieces of artwork from the new film, including Gertrude Eldridge, the first ghost you see in the movie, and of one of the Ghostbusters’ awesome new weapons used to fight the supernatural baddies that have taken over New York City. Lastly, the box comes with a collectible pin of the new Ecto-1, the pimped-out hearse that takes our heroes around the city as they battle the paranormal invaders. 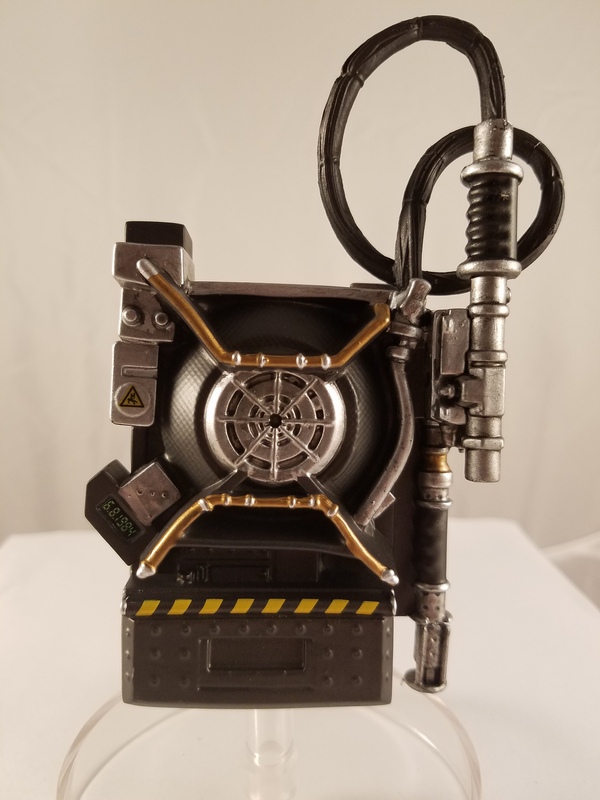 To top it all off, the box can be turned inside out and fitted with straps that are included to form a makeshift proton pack. Admittedly, I did not have the patience to fiddle with it for very long, so it’s just going to be a box that I’ll ultimately throw away. 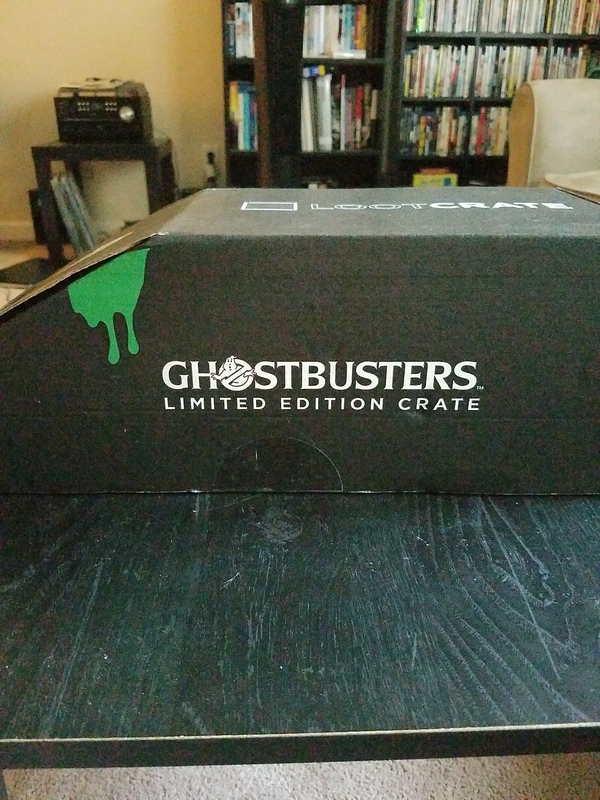 As a Ghostbusters fan, I give Loot Crate two thumbs way up on this crate, and am grateful that they’re doing their part to keep Ghostbusters in the public eye for fans old and new.